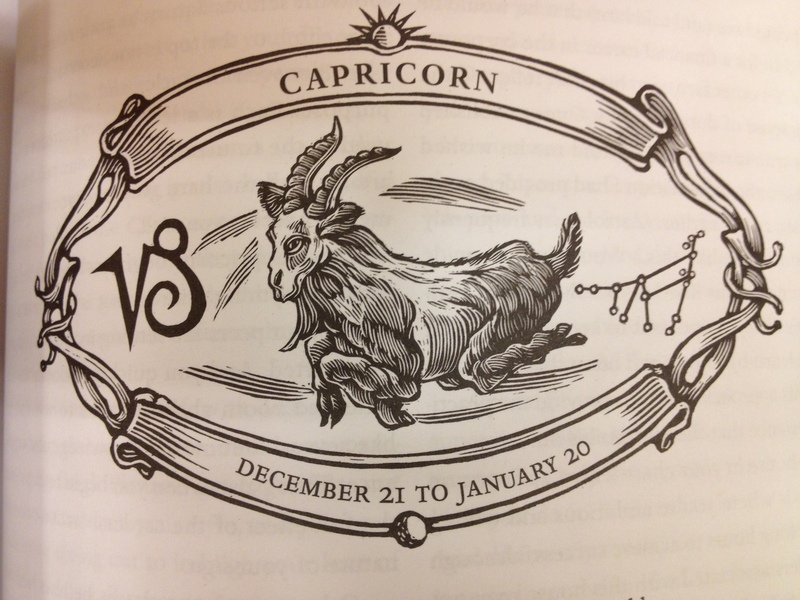 Bodacious Business Horoscopes: Career-Climbing Capricorn! Don’t let ambitious Capricorns get your goat; they’re the hardest-working people you’ll ever meet. The final “Bodacious Business Horoscopes” entry of 2015 salutes the most nimble and career-oriented of all zodiac signs, Capricorn the Goat. The graceful Goat scampers across the astrological skies from December 21 (or 22) until January 20, always in search of the next project to master. I’ll wager that the self-possessed mid-level managers (and other employees) who make things happen at your company without seeking the limelight are predominately Capricorns. Capricorn Is the Cardinal Earth Sign–Here’s What It Means for Your Business: As we learned via Cancer the Crab, a cardinal sign is the calling card of astrological “scouts” who lead and influence others. However, they’re not always a business’s front person or mouthpiece. Goats Get to Where They Want to Be Career-Wise By Outlasting Their Competition: This particular sun sign is well matched with its animal symbol. Goats live to reach the mountaintop, especially in their professional life. Don’t be fooled by Capricorn’s industrious nature. This worker bee expects a proper reward (social status, recognition, and/or hard-earned cash) in return for nonstop output. Dominated by its earth element, the Goat sometimes immerses him/herself in materialistic things, but is dignified enough not to get too crazy. You can always count on Capricorn to retain a grasp on reality and get back to work. Capricorns Are the Hardest-Working Beasts in Your Office Menagerie: In general, employees and leaders whose sun sign falls into Capricorn’s house are kindred spirits with James Brown. They are enterprising people, regardless of industry or profession. Depend on them to arrive early and stay late. Your Goats’ most positive traits: good organizational skills, pragmatic outlook, scrupulously detail oriented, calculates risks before acting, respects authority, values family and tradition. It wouldn’t surprise me to learn that Inigo Montoya of The Princess Bride is a Capricorn. A master swordsman temporarily distracted by the revenge business, he never gives up his quest to find the six-fingered man who killed his father. Whether related to you by blood or nondisclosure agreement, diligent Capricorn will be the one to put the finishing touches on a big proposal or presentation AND ensure it lands safely the next morning. The Goat Is a Stubborn Perfectionist, So Watch Out for Those Horns: All zodiac signs have their negative traits, and Capricorn is no exception. As long as you share their vision, Capricorns are happy to scramble up precarious peaks for you. But beware the moment you dare to disagree. You’ll feel like a gunslinger on the wrong side of the law in Clint Eastwood’s Unforgiven. Your male and female Goats can be: egotistical, demanding, unforgiving, driven by internal fears when making decisions, never satisfied (especially if something isn’t his/her idea), and a status seeker. Also: A typical Capricorn seethes (inside) with fury when embarrassed in public. It’s best to save any constructive criticism for the privacy of your office or other one-on-one venue. Out-In-Front Business Owners Rely on Capricorns to Excel in Private: The Goat prefers scaling his or her personal Mount Everest away from the lights and sounds of public appearance, despite a desire for success. A Completely Speculative Business Interpretation of Capricorn’s Astral Assets: Here’s something you don’t see every day–a business interpretation of a zodiac sign’s ruling planet, lucky day, lucky numbers, and primary colors. I suppose it’s hard to disagree. All that scaling of professional heights and climbing of corporate Matterhorns has to lead somewhere. Does Capricorn the Goat rule your birth date? If so, did this profile set off any alarm bells for you regarding accuracy? What other interpretive traits would you add to this zodiac sign from a business perspective? ← International Swear Words to Love and Use: Jane Austen Style!